For a pleasant and functional stay. Rural house in Lanzarote for 6 people divided into two floors, both fully equipped, has three bedrooms, living room, kitchen and two bathrooms. Outdoor garden with barbecue, terraces, porch, parking area and solarium. Perfect for relaxation and rest.  Enjoy your stay in Lanzarote at Casa Rural Garaday. This beautiful house in Lanzarote is fully restored maintaining the traditional Canarian architecture and creating a rustic atmosphere with natural materials. You can enjoy a rural atmosphere and feel like in a fairy tale house, during your holidays in the Canary Islands. Garaday Lanzarote has a lot of history and every corner of the house has its secret. We have managed to adapt all the comforts of today to a house of several centuries. This emblematic house enjoys total privacy and privacy, but without renouncing the views, since from the rooms you can enjoy the incredible landscape of lava and volcanoes so characteristic of Lanzarote. Enjoy your holidays with us in our rural house in Lanzarote and discover all the charms and secrets of the island. We are waiting for you!